- There is a logic to human existence. We are writing a manual of what that logic is. This is an intelligence speaking. It is the wisdom of the circle. - Dialogue is the necessary activity now to save the earth. Everyone sees glimmers of a peril looming; all must attend. Reordering must come. It will not result from legislation or from mediating between warring factions. Any imposition will just create more war. No, this needs to BE an otherness that births inside the womb of now. - This is the voice of humanity's soul. Snap to attention. Come off the meditation cushion. The family needs to forge. The mother is overblown with pregnancy. A creature must emerge. Web Bot, or the Web Bot Project, refers to an Internet Bot computer program that is claimed to be able to predict future events by tracking keywords entered on the Internet. It was developed in the late 1990s, originally to predict stock market trends. The creator of the Web Bot Project, Clif High, along with his associate George Ure, who call themselves "The Time Monks",[not in citation given] keep the technology and algorithms largely secret and sell the predictions via the website. The method captures intuitive changes in language patterns within Internet forums. This aggregated data is then processed with software to determine various keywords, which they interpret in a predictive fashion. Laura grew up in rural Ohio. A world traveler at a young age, she tromped through 16 countries by the time she was 8. After high school, Laura headed to the Ohio State University. Shortly thereafter, she ended up working at the headquarters for the Commander-in-Chief for the North Atlantic Fleet. She married, had two children, and continued to pursue a scholarly vision of creating architecture with an anthropological influence which would infuse the work of her heroes—Margaret Mead, Joseph Campbell, and Frank Lloyd Wright. While attending Indiana State University in 1982, Laura’s life was transformed when she awoke one morning with a searing pain in her head. Within 11 days she was totally blind. Several hours later, she died in an ambulance. Early on, a schism formed between her experiences and skills, and the mainstream world. Laura felt far-flung from what life was supposed to be. But what was life supposed to be? She saw a black hole between science, religion, philosophy, and contemporary spirituality and mysticism. There is an unwillingness to speak of one’s direct experiences with God that fall outside the lines of acceptable dogma. She began to envision intelligent, compassionate conversations about living with hope and fulfillment in our flattening world while being consciously engaged in spirituality and its inherently beautiful, yet, challenging experiences. 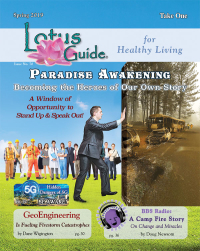 Her book, Intuitive Wellness, and audio programs, Unlocking Your Intuitive Power: How to Read the Energy of Anything and Color Intuition, begin to address the questions she asked as a child—who or what is God? 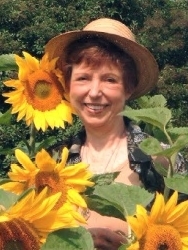 For almost thirty years she has engaged in work that keeps her in direct contact with spirituality, never losing her thirst for discovering cross-cultural applications of religion and mysticism, and exploring how science has been empowered to make or break a spiritual point but cannot diminishing one’s personal experience. As a structural and medical intuitive, she has worked with countless individuals around the world, from all strata of society. Doctors have called Laura a “walking MRI” for her laser-like accuracy in intuitive assessments. She is a popular radio guest and the host of, Laura Kamm Live; words along the way. She has served on research panels, including the National Institute of Health-funded studies on remote healing with HIV/AIDs patients. Laura has also worked with the complementary medicine unit at Columbia Presbyterian Hospital in New York City. Her work has been highlighted in Body + Soul and Better Health and Living magazines, and she is the “Intuitive Development Expert” for Sounds True web channel. When Laura is not writing, lecturing, teaching, on the radio, or working with private clients, she relishes time spent with her two adult children. She is a life-long student of anthropology/sociology, a gardener, and a practitioner of meditation, yoga, and various eastern arts, including calligraphy. An accomplished author, entrepreneur and philanthropist with a greater vision for our world, he believes in the potential of every person, place and thing in it. White authored, “THE WORLD IS A SAFE PLACE”, a book that explores his discoveries in the world of spiritual and quantum mechanics, and is currently working on his second book “THE MIDDLE OF FOREVER”. As a pioneering resident on the forefront of the Downtown LA loft development movement, Jim co-founded a distinctive real estate, travel and lifestyle company called, "ULTIMATE LIFE LIVING" which plays a key role in the residential expansion of LA’s burgeoning city center. Through his enterprises, Jim continues his long-standing commitment to the community, directing funding support towards Beyond Shelter a Los Angeles-based non-profit organization dedicated to the development of systemic methods to eradicate poverty and homelessness. White serves on the Executive Board of Directors for this esteemed organization. Jim began his 16 year entertainment career with Blockbuster Video Inc. in store operations. He later became involved in full-scale domestic and international acquisitions, including training and business conversions for store ‘start-ups’ in Europe and Australia, overseeing the launch of over 850 new Blockbuster businesses. 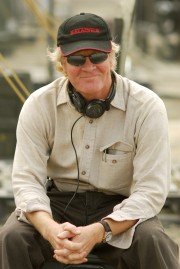 Jim’s professional journey continued as he went on to senior Human Resources and Operations roles within Universal Music Group, Vivendi Universal - Games and most recently, with Paramount Pictures where he supports Creative Development, Physical Production, Post Production, Visual Effects, Casting and the Story Department. He has also held a Vice President, Human Resources position at Roxio Inc. / Napster (which is now owned by Best Buy). 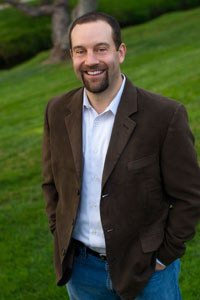 Chris is the North American Spokesperson for New Humanism, also known as Universal Humanism. He has been active in the Humanist Movement, the concrete and organized expression of New Humanism, for the past 18 years. Like all New Humanists, Chris is a volunteer. Chris was an Editor of The Chelsea Journal from 1992 to 1994, and helped organize a campaign to fight lead poisoning among local children during this time, among other grass-roots initiatives. From 1994 to 1997, he was publisher of The West Side Story, an all-volunteer humanist neighborhood newspaper for the Hell’s Kitchen neighborhood in New York City. He also founded a humanist community center for the neighborhood, which hosted projects in the arts, community gatherings and other initiatives. During this time, he launched a campaign to develop a new neighborhood middle school, and supported the campaigns of two Humanist candidates for the school board. 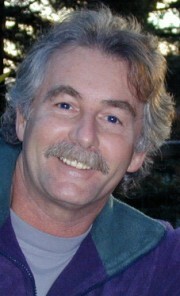 Over the course of his humanist work, Chris has helped organize local, city-wide, and regional humanist forums, including the North American New Humanist Forum in November, 2007 (http://www.newhumanistforum.org/). He participated actively in projects aiming to humanize health care and education. He has also organized demonstrations calling for worldwide nuclear disarmament, and helped lead human support campaigns for humanist projects in Bangladesh and Mozambique. Chris has represented U.S. New Humanists at humanist conferences and gatherings in Spain, Italy, Mexico, Argentina, Bolivia, Chile and Brazil. He has played an active role in North American projects of support for grass-roots international movements such as the Zapatistas in the Chiapas region of Mexico and the inspiring process of non-violent revolution that is unfolding now in Bolivia. In November, 2007, Chris traveled to La Paz to take part in the 2nd Latin American Humanist Forum. During this trip, he was honored to participate in a ceremony at Tiawanaku, the sacred site of the pre-Incan civilization, and in the opening of the Forum, addressed by Evo Morales and by Tomas Hirsch, the Latin American Spokesperson for New Humanism. Chris proudly marched with other New Humanists against the invasion of Iraq before it was launched, and in March 2007 & 2008 helped to organize Living Signs of Peace and Non-violence in New York City, protesting the occupation. His other recent activities include several radio interviews, and various actions against a planned US radar base in the Czech Republic (part of the so-called missile defense shield). In April, 2008, Chris joined Jan Tamas, Chair of the Czech Humanist Party and leader of a strong movement against the base, in meetings with Noam Chomsky and Dennis Kucinich. Last year, Chris was invited to address the 1st International Symposium of the World Center of Humanist Studies, held in Punta de Vacas, Argentina. He presented a talk entitled “A Brief Summary of The Statement of the Humanist Movement” to a distinguished audience including Rodrigo Carazo, former president of Costa Rica and founder of the University for Peace, and Bolivian Senator Gaston Cornejo. During that same weekend, he joined in the launching of the 1st ever World March for Peace and Nonviolence, which he will be actively promoting between now and its conclusion in January, 2010. Chris is an actor by profession and lives in New York City with his wife and two children. A. 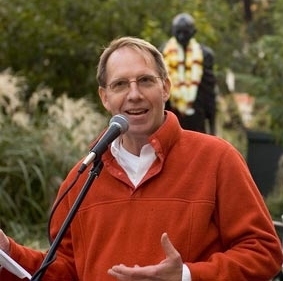 True Ott received his Bachelors of Arts degree from Southern Utah University in Cedar City, Utah in 1982, and went on to receive his Doctor of Philosophy in the field of Nutrition through the American College in Washington DC in 1994. Dr. Ott’s dissertation and research followed the groundbreaking work of Linus Pauling, and asserted via independent research that each mineral on the periodic table of the elements, in its pure hexagonal crystalline form, pulses a specific hertz resonant frequency based on its atomic weight and unique electron configuration. Dr. Ott then measured and graphed the individual resonant frequencies inherent in vitamin and enzyme structures, and independently verified that 23 minerals are the base raw materiel of nutrition and are vitally important in keeping the human cells in a state of balance or homeostatic health. Dr. Ott has been counseling and lecturing on this most basic form of prime nutrition for over 15 years, and founded Mother Earth Minerals, Inc. in 1997. The author and publisher of dozens of articles and three books on nutrition, Dr. Ott is continually searching for natural solutions and answers to the nation’s chronic health problems, and believes that education is the first step. His latest book, Secret Assassins in Food blows the whistle on common food additives and is a “must-read” in order to understand some of the more toxic food additives and programs! From 1996-2001, Dr. Ott worked with Mr. Warren Anderson to produce the radio program “The Story Behind the Story” at KSUB Radio in Cedar City, Utah and was awarded the prestigious Peabody Award for radio documentary. Donald R. Schmitt is the former co-director of the J. Allen Hynek Center for UFO Studies, where he served as Director of Special Investigations for ten years. Prior to that, he was a special investigator for the late Dr. J. Allen Hynek and the art director for the International UFO Reporter. Schmitt is an exciting university lecturer and internationally considered one of the best investigators in his field. He has spoken 100′s of times in cities and countries around the globe, most notably, Battelle Institute. 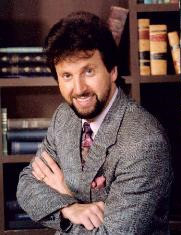 He has been interviewed frequently on TV, radio, and in print, including Oprah, Peter Jennings, CBS 48 Hours, Paul Harvey, Larry King Live, Montel Williams, Mancow Muller, Kevin Mathews, Art Bell, George Noory, Shirley Maclaine Show, FOX Good Day LA, NPR, Mutual Broadcasting Network, CNN Investigates, SCI FI Investigates, Disney Channel, the Travel Channel, Sci-Fi Channel, BBC, Learning Channel, Today Show, NBC, ABC News, CBS Morning News, AP, UPI, CNN News, Sonja Live, Jim Bohannen, Morton Downey Jr., Jerry Doyle, Allan Handelman, John Boy and Billie, TIME, Wall Street Journal, Forbes, Popular Science, SPIN, BLADE, New York Times, LA Times, Chicago Tribune, Philadelphia Inquirer, San Francisco Chronicle, Milwaukee Journal, Albuquerque Journal, Popular Science, and OMNI Magazine. He had the grand experience of traveling a 31-city speaking tour mainly with actor William Shatner and occasionally other STAR TREK stars in 1994-96 produced by Star Knight Productions. Which led to his being a Guest of Honor in 1996 at Dragon Con held in Atlanta which is the second largest science fiction convention in the world. Mr. Schmitt also sings in a highly acclaimed choral group which has had engagements at the Milwaukee Rep oratory, Milwaukee Auditorium, Schauer Theater, St. John’s Cathedral, Holy Hill Basilica, and Carrol College. Featured concerts have been with Midland College of Iowa, The Kettle Moraine Symphony, and the Waukesha Symphony performing the works of Handel, Du Brois, Mozart, Beethoven, and Shubert. The basis of his research and consultation has been the theme of many documentaries including the highly acclaimed UFO Secret: The Roswell Crash, two-time British Academy Award (BAFTA) winner producer, John Purdie’s The Roswell Incident, Roswell, The Real Story, Roswell: Cover-ups and Close Encounters, UFOs: 50 Years of Denial, Award-winning Roswell, The UFO UnCover-up, and hosted the production of The X Chronicles. He wrote and narrated the audio CD UFO Crash at Roswell, an Audio Documentary, Caroline Records, 1997. He has also produced and co-starred with actor John de Lancie in the live theatrical radio drama Roswell, the Unheard Broadcast, Prosaic Pictures 2000. By far his greatest achievement was the Golden Globe Best Picture nominated motion picture ROSWELL, which was based on the first book. Besides consulting on the movie, he made a cameo appearance. Presently, he is a contributing writer for UFO Magazine, and on the Board of Directors for the International UFO Research Museum. A Christian for 25 years, JoAnne is an ordained minister and humanitarian activist, currently working to assist people with faith crisis solutions and the advocacy of ending forced vaccinations. Previously serving in the Air Force for 16 years as a Russian Cryptologic Linguist with a Top Secret/SCI clearance, JoAnne was awarded the Meritorious Service Award at 23 years old, the peacetime Army equivalent of the Bronze Star. Holding previous proficiencies in Russian, Italian, Spanish, German and French, having traveled to over 14 countries and living in Europe for 12 years, JoAnne has a first hand appreciation for diversity of international culture. 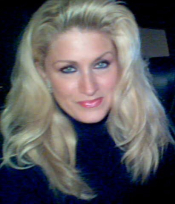 She brings this professionalism, consciousness, sensitivity and experience to her advocacy work and in addition to founding an online free ministry school with over 700 Christians and Christian pastors enrolled, she has also has co-founded a nearly 7,000 member Facebook Group that works to raise awareness around the world on the issue of the swine flu and the deadly vaccination agenda. In addition to founding the Anti-Forced Vaccine Alliance to network activist groups and their resources, she has launched an international discussion board and coordinating news web site to assist activists, highlight current news, provide community tools and media kits for raising awareness, monitor the outbreak, and circulate credible research on vaccine alternatives and health tips for managing self care. JoAnne is deeply committed to caring not only for the quality of faith and spiritual needs of humanity, but also the quality of life. Rickie Byars Beckwith is one of the 21st century’s most revered singer-songwriters whose transcendent music opens the heart, touches the soul, and uplifts the spirit. Rickie's extensive music catalogue is heard on the radio and on soundtracks for movies and television. Her songs of unconditional love and spiritual transformation are the highlight of consciousness raising events throughout the world. She has performed in five sessions with His Holiness the Dalai Lama, at Green Festivals across North America, and at countless Peace Concerts that promote unity and the principles of non-violence. 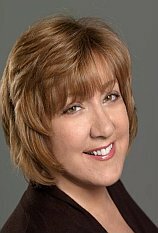 In Culver City, California, Rickie is the Music and Arts Director of the Agape International Spiritual Center where she directs the 200-member Agape International Choir. Together with her husband, Rev. 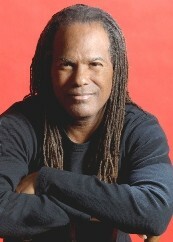 Dr. Michael Bernard Beckwith, founder of the Agape International Spiritual Center, their powerful partnership has resulted in a dynamic catalogue of songs that enable transformational healing through the power of music. Backed by some of the most accomplished musicians from Los Angeles and beyond, the Agape International Choir is heard daily throughout North America, Europe, Ghana, South Africa, Egypt, India – and all places in between. Featured guest artists who regularly perform with the Choir include John Legend, Will.I.Am, Stevie Wonder, Niki Haris, Brenda Marie Eager, and Tim McAfee-Lewis. Steve Luxenberg, an associate editor at The Washington Post and author of the award-winning Annie’s Ghosts: A Journey Into a Family Secret, has worked for more than 30 years as a newspaper editor and reporter. Steve’s journalistic career began at The Baltimore Sun, where he worked for 11 years. He joined The Post in 1985 as deputy editor of the investigative/special projects staff, headed by assistant managing editor Bob Woodward. In 1991, Steve succeeded Woodward as head of the investigative staff. Post reporters working with Steve have won several major reporting awards, including two Pulitzer Prizes for explanatory journalism. From 1996 to 2006, Steve was the editor of The Post’s Sunday Outlook section, which publishes original reporting and provocative commentary on a broad spectrum of political, historical and cultural issues. Annie’s Ghosts was named to The Washington Post’s Best Books of 2009 list and was honored as a Michigan Notable Book for 2010 by the Library of Michigan. It was featured on NPR’s All Things Considered and on the Diane Rehm Show. Other media coverage included articles or reviews in as Parade, The Washington Post, The Baltimore Sun, The Detroit Free Press, The Detroit News, the Buffalo News, the Jerusalem Post. Several community libraries have selected Annie’s Ghosts for a “One Book/One Community” event, hosting discussions about the book and then inviting Steve for a concluding talk and discussion. The Buffalo News picked Annie’s Ghosts as the January 2011 selection of its Buffalo News Book Club, a monthly feature that promotes one book to the newspaper’s readers. 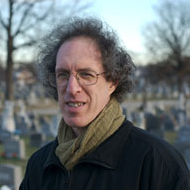 After the publication of Annie’s Ghosts, Steve was chosen to deliver the 2010 Horace W. Davenport lecture at the University of Michigan. He was also the keynote speaker at the following events: the National Alliance on Mental Illness’s annual Washington gala “Unmasking Mental Illness,” the annual meeting of the Maryland Mental Health Association, the 2009 meeting of the Fellows in Mental Health Journalism at the Carter Center in Atlanta, the 2010 Issues on Aging conference at Wayne State University, and the 2010 Writers at the Beach conference in Rehoboth Beach, Del. Steve also has spoken at the Aspen Institute and at the 2010 Michigan Judicial Conference, moderated a panel discussion at the 2010 MentalHealthAmerica annual conference, and lectured at the National Council on Community Behavioral Healthcare’s 2010 Mental health and Addictions Conference. Steve has also given talks and readings at Johns Hopkins University, the University of Maryland Baltimore County, Towson University, the Lower East Side Tenement Museum in New York City, as well as public libraries in California, Michigan, New York and Florida. His talk about his research methods for Annie’s Ghosts has become popular among genealogy groups. In his current role as a Post associate editor focusing on special projects, Steve directed a team of reporters that examined the federal government’s offshore drilling policy and regulation of the oil and gas industry as part of the newspaper’s coverage of the Deepwater Horizon explosion in April 2010. Steve also oversaw in-depth stories on the causes and consequences of the financial crisis that unfolded in 2008. One of those projects, on the rise and fall of insurance giant AIG, was a 2009 Pulitzer Prize finalist. Steve is a graduate of Harvard College. He grew up in Detroit, where Annie’s Ghosts primarily takes place. He and his wife, Mary Jo Kirschman, a former school librarian, live in Baltimore. They have two grown children, Josh and Jill. David Weddle is an American television producer and writer, best known for episodes of Star Trek: Deep Space Nine (1996–1999), The Twilight Zone (2002–2003), Battlestar Galactica (2004–2009), and CSI: Crime Scene Investigation (2009-2011) with writing partner Bradley Thompson. They also wrote for the short-lived series Ghost Stories (1997) and The Fearing Mind (2000). Weddle and Thompson are currently writing and producing for the TNT series Falling Skies. Weddle's father fought in World War II and saw action during the Guadalcanal campaign and the Battle of Peleliu. Weddle graduated from the USC School of Cinema, as did writing partner Bradley Thompson, whom he first met in an acting class. A fan of Sam Peckinpah, Weddle met the director on several occasions. Weddle and his parents knew Fern Lea Peter, Peckinpah's sister, and her family. He was able to watch Peckinpah direct what would be his last film, The Osterman Weekend. After Peckinpah's death in 1984, Weddle used Peckinpah's production files and correspondence that had been given to the library of the Academy of Motion Picture Arts and Sciences to write a biography of the director. This biography, If They Move . . . Kill 'Em! : The Life and Times of Sam Peckinpah was released in 1994. It was the biography that brought Weddle to Deep Space Nine and later to Battlestar Galactica. Ira Steven Behr, a fan of Peckinpah, invited Weddle to Paramount Pictures. This enabled Weddle and Thompson to pitch stories to the show. The two joined the writing staff for DS9's final seasons. 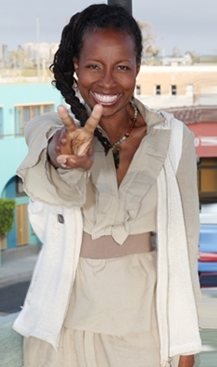 They also met and worked with producer Ronald D. Moore on the show. Weddle and Thompson wrote twelve episodes of Deep Space Nine. Weddle can be seen in the background of the scene set at Vic Fontaine's Lounge in the final episode, "What You Leave Behind". He later wrote a DS9 novel set after the series with Jeffrey Lang. Entitled "Abyss", it focused on Section 31, the Federation's secretive intelligence service. Weddle considers "Inquisition" to be the best Star Trek episode he and Bradley Thompson wrote, for showing "that the Federation, as perfect as it seemed, had to resort to unsavory tactics and work black bag operations to keep their world safe and pristine". Weddle and Thompson were invited by Ron Moore to work on the reimagined Battlestar Galactica. They served as story editors on the first season of the show and became co-producers in the second season. Their responsibilities as producers increased during the third season, and they achieved supervising producer status for the fourth season. In 2008, Weddle and Thompson joined the staff of CSI: Las Vegas mid-way through Season 9 as writers and supervising producers. As of Season 10, they became co-executive producers. An episode they wrote for the 11th season, "Fracked," won the Environmental Media Association's 21st Annual Environmental Media Award for Television Episodic Drama. Weddle has dined and chatted at length with Jerry Lewis on his private yacht in Southern California. He appreciates Jerry Lewis as an "auteur" and wrote an article about the director and actor that appeared in the Los Angeles Times Sunday magazine section suggesting that Lewis be awarded an honorary Academy Award. Lewis won this award on February 22, 2009, though for his humanitarian achievements rather than his work in the cinema. In 2011, Weddle and Thompson joined the second season of the Steven Spielberg alien invasion drama Falling Skies as writers and producers. 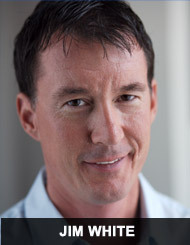 Dr. Timothy Birdsall is a visionary leader in integrative medicine. In 2009, he was recognized by the American Association of Naturopathic Physicians (AANP) as Physician of the Year, and in 2010 received the President’s Award of the Oncology Association of Naturopathic Physicians. In October 2011, Dr. Birdsall was promoted to Chief Medical Information Officer at Cancer Treatment Centers of America (CTCA). In this role, Dr. Birdsall is leading CTCA in clinical system enhancements and optimization to better serve our patients and those who provide care to our patients. Previously, he served as Vice President of Integrative Medicine, overseeing our unique treatment model, which combines state-of-the-art conventional medical treatments with scientifically supported therapies such as nutrition therapy and naturopathic medicine. A well-known lecturer and naturopathic physician, Dr. Birdsall is a sought-after presenter at medical conferences worldwide. He earned a Doctor of Naturopathic Medicine degree from Bastyr University in Seattle, where he served on the faculty for five years. He is also a Fellow of the American Board of Naturopathic Oncology. In January 2008, U.S. Health and Human Services Secretary Michael Leavitt appointed Dr. Birdsall to serve a four-year term on the National Advisory Council for Complementary and Alternative Medicine for the National Institutes of Health (NIH). Dr. Birdsall's professional achievements also include serving as Speaker of the House of Delegates and Vice President of the AANP. In addition, he currently serves on the board of directors of the Oncology Association of Naturopathic Physicians. Dr. Birdsall was the founding Editor in Chief of Alternative Medicine Review, the first peer-reviewed medical journal edited by naturopathic doctors to be indexed on MEDLINE. He coauthored the book How To Prevent and Treat Cancer With Natural Medicine. Currently, Dr. Birdsall serves on the Editorial Consultants Board for the journal Integrative Cancer Therapies. For his extensive experience in the area of naturopathic medicine, Dr. Birdsall has been recognized in American Men and Women of Science, Who's Who in America, Who's Who in Science and Engineering, and Who's Who Registry of Global Business Leaders. Dr. Adam Perlman received his BA from Tufts University and MD from Boston University School of Medicine. He completed residencies in Internal Medicine and Preventive Medicine as well as a General Internal Medicine Research Fellowship at Boston Medical Center. In addition, he earned a Masters of Public Health with a concentration in biostatistics and epidemiology from the Boston University School of Public Health. 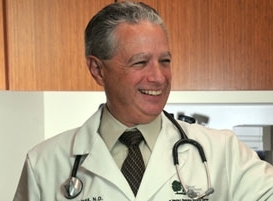 Dr. Perlman became Director of Integrative Medicine for the Saint Barnabas Health Care System and founding Medical Director for the Carol and Morton Siegler Center for Integrative Medicine, in Livingston, New Jersey in 1998. In that role, he had primary responsibility for developing and overseeing the Complementary & Alternative Medicine Program, including both the Integrative Medicine Center and the Center for Health and Wellness, for the largest healthcare system in New Jersey. In 2002, Dr. Perlman became Executive Director for the Institute for Complementary and Alternative Medicine (ICAM) at the University of Medicine and Dentistry of New Jersey (UMDNJ), where he is an associate professor of medicine within the School of Health Related Professions. 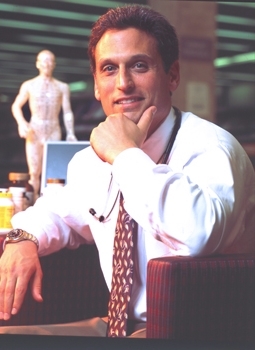 In 2004, he was named the UMDNJ Hunterdon Endowed Professor in Complementary and Alternative Medicine; and in 2007, Dr Perlman was appointed Chairperson for the Department of Primary Care within the School of Health Related Professions. This Department includes the Physician Assistant Program, Respiratory Care Program and the Institute for Complementary and Alternative Medicine. His scholarly activities include numerous grants and publications. 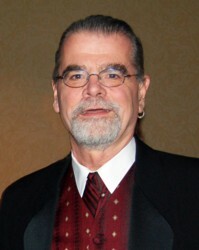 He was guest editor for the Complementary and Alternative Medicine volume of Medical Clinics of North America, and is associate editor for the Complementary and Alternative Medicine section of the Physician Information and Education Resource (PIER), developed by the American College of Physicians and American Society for Internal Medicine. His diverse research interests have included such projects as a clinical trial evaluating the effect of multivitamin supplementation on school performance in underserved children, a trial assessing the efficacy of massage for osteoarthritis of the knee and a survey exploring the use of CAM in patients with cancer. Most recently, he was the recipient of an R01 Research Grant, funded by the NIH’s National Center for Complementary and Alternative Medicine, to continue his research on massage therapy for osteoarthritis of the knee. Dr Perlman’s research has been published in the Archives of Internal Medicine and featured in the New York Times. In 2010, Dr Perlman became Chair for the Consortium of Academic Health Centers for Integrative Medicine, a consortium comprised of 44 leading academic medical centers with integrative medical programs. In 2011, Dr Perlman moved to North Carolina and became the Executive Director for Duke Integrative Medicine. In that role, he has primary responsibility for overseeing Duke's Integrative Medicine program, including the 27,000 square foot, Duke Integrative Medicine Center. Dr Perlman has published multiple articles and book chapters on various aspects of CAM and in 2006 authored the book, Own Your Own Health-The Best of Alternative and Conventional Medicine for Pain, published by Health Communications, Inc. 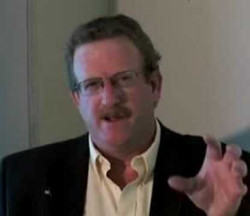 He lectures widely and is a frequently featured media expert in the area of Complementary and Alternative Medicine. As VP Publishing & Communications for Ripley Entertainment, Tim O'Brien is responsible for coordinating the publicity and promotion of the company's 70-plus attractions throughout the world. Serving as the corporate national spokesperson, Tim enthusiastically shares the Ripley product with the public through numerous TV and radio appearances. Prior to his position with Ripley Entertainment, Tim served as senior editor of Amusement Business, the world's leading business trade magazine for the amusement park and attraction industries. During his 18 years with the magazine, Tim traveled the world chronicling the news and the history of the parks and attractions industry. Since carving out his journalistic niche as an industry specialist, the award winning photojournalist has had nearly 5,000 articles and more than 3,000 photos published. Tim has visited more than 500 parks and attractions in 18 countries and has ridden in excess of 400 different roller coasters. He has appeared in 10 theme park documentaries on the Travel Channel, The Discovery Channel and National Public Television and has authored nine books, including "The Amusement Park Guide," considered the Bible of theme park and amusement park guidebooks. As national corporate spokesperson for Ripley, Tim has gotten to know, up-close and personal many of the world's unique pieces of weirdness, including shrunken heads from the Jivaro Indian tribe of Ecuador, South America; Vampire Killing kits from Eastern Europe; two headed cows, chickens, pigs and goats from America's farmlands; to the world's largest hairball. During the past 12 months alone, Tim has appeared in more than 300 radio and TV interviews, including The Daily Buzz, The Martha Stewart Show, Montel Williams and Good Morning America, talking about his favorite subject - the weird and wacky world of Ripley's Believe It or Not! A graduate of Ohio State University with a master's degree in journalism/film production, Tim is an accomplished photographer and public speaker, having lectured extensively at industry seminars, high schools, and various civic groups. In 2001 he won the coveted "Lifetime Service Award" from the International Assn. of Amusement Parks & Attractions (IAAPA) for his devotion and his "long-term achievement Award" for his dedication and service to the theme park and attractions industry. He was born in Columbus, Ohio, grew up on Buckeye Lake, and took his first airplane ride at age 7.